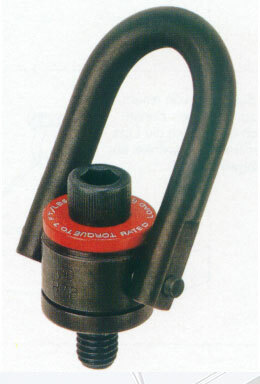 While the lifting equipment is generally available on site, the direct connection to the product often creates troubles. Asymmetric centers of gravity and the missing of attachment points makes transportation difficult. We supply attachment points – weld-on or bolt-on-type – for metric and imperial thread types up to safe-working-loads of 57 tons. Attachment points not only reduce the cost of labour, they also make transport safe and avoid damages on the product.